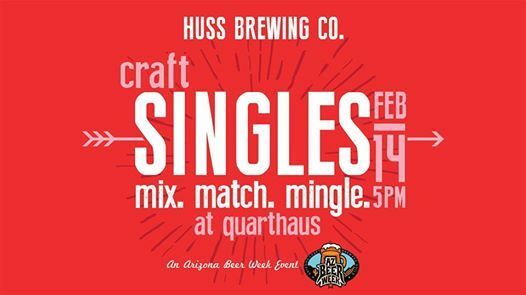 Craft Singles Mix Match Mingle. Fly solo on Valentine's Day no more! 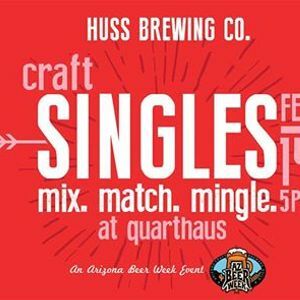 Meet us at the QuartHaus February 14th, during Arizona Craft Beer Week for Craft Singles Mix. Match. Mingle. We'll be pairing a barrel aged Divide & Husstle (a collaboration with our friends at Great Divide Brewing Co.) variant verticle flight with fine chocolate of course! There will be food & games, and the first 50 singles through the door will get an awesome singles swag bag! Who knows you could meet the craft beer lovin', love of your life!